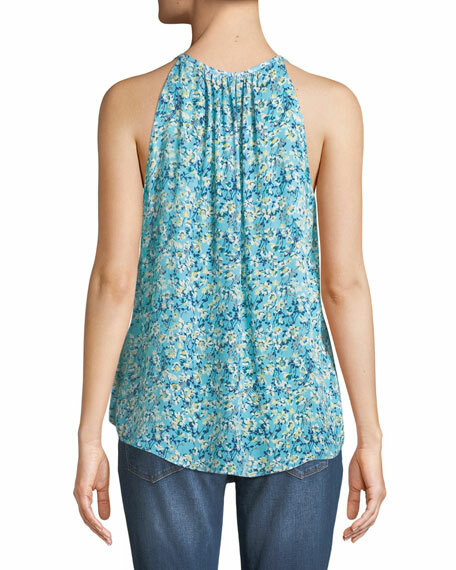 Ramy Brook sleeveless silk top. 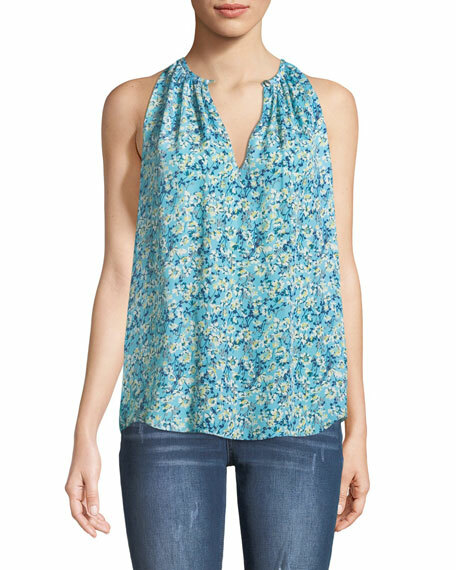 Launched in January 2010, Ramy Brook is a lifestyle brand defined by modern, wearable styles, attainable luxury, and seasonless clothing for women of all ages. Founder and designer Ramy Sharp creates flattering silhouettes with signature details ranging from the draping and cut of the fabric to raw-edges, clean lines, brass hooks, and exposed zippers. For in-store inquiries, use sku #2528419.